Will the cost of cancer drugs break the economy? If left unchecked, the rising cost of cancer drugs could have devastating implications for individuals, societies and national economies, a group of cancer physicians and researchers said. In a new paper published Tuesday in Nature Reviews: Clinical Oncology, the cancer experts excoriated the pharmaceutical industry for pricing oncology drugs at rates that make them inaccessible and are unjustifiably high given the often scant benefit some of these drugs bring patients. The authors, Dr. Vinay Prasad of Oregon Health and Science University, Kevin de Jesus of Ponce Health Sciences University in Puerto Rico and Dr. Sham Mailankody of Memorial Sloan Kettering Cancer Center in New York, synthesized evidence from a broad array of dozens of studies. They examined the skyrocketing costs of anticancer drugs compared to the value they bring to patients, and patients' and countries' ability to pay for them. “What we tried to do was dispassionately collect every piece of data on this subject that we could,” explained Prasad, a hematologist-oncologist and assistant professor at OHSU. Their conclusion? 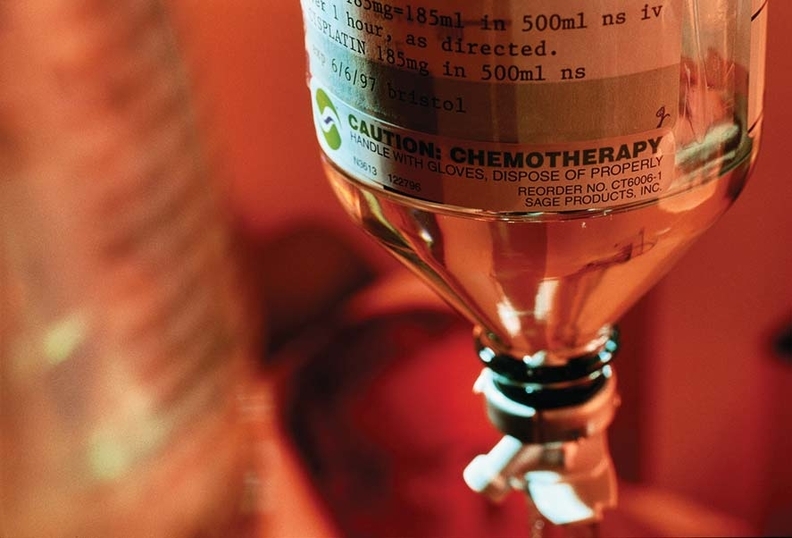 “The costs of anticancer drugs are unsustainable,” the authors wrote. What that translates to for patients is a choice between paying for cancer treatment and paying for something else in their lives, he said. In the 1960s, the median launch price of a new anticancer drug was about $100 per month. Today, it's about $10,000 per month, the researchers said. The pace of that increase is expected to push global spending on cancer from about $100 billion per year today to $150 billion by 2020. Yet patients aren't getting significantly better thanks to these drugs, whose average benefit is often marginal, the researchers found, citing several studies. One of those studies, which looked at 71 anticancer drugs for solid tumors approved between 2002 and 2012, found that the median improvement in terms of overall survival was 2.1 months. Other studies that similarly found marginal benefits from cancer drugs were based on clinical studies. In the real world, the value of those drugs could be diminished even more, the researchers said. They pointed out that 60% of new cancer drugs are not wholly new therapies but next-in-class treatments. Meanwhile, drugs that are effective aren't always accessible to patients, especially in economically developing nations, the researchers noted. In one example at a premier hospital in Mumbai, India, only 1 out of 107 patients received a breast cancer drug considered highly effective for that profile of patients. “A cure that exists only on a shelf is of no value,” Prasad said. The group suggested several regulatory and legal solutions, such as allowing the CMS to negotiate drug prices, improving transparency in drug pricing, introducing generics and biosimilars more quickly, shortening the length of patents for brand name drugs, introducing value-based drug-purchasing schemes and importing drugs from foreign countries. Those changes, which others have previously proposed, could help shift the paradigm to ensure that anticancer drugs are more affordable or that they are paid for based on how much they actually benefit patients. In the current political environment, it's uncertain whether these proposals will gain any traction. Still, Prasad is holding out hope that President Donald Trump's administration will find a way to let Medicare negotiate drug prices, given Trump's support for that change.